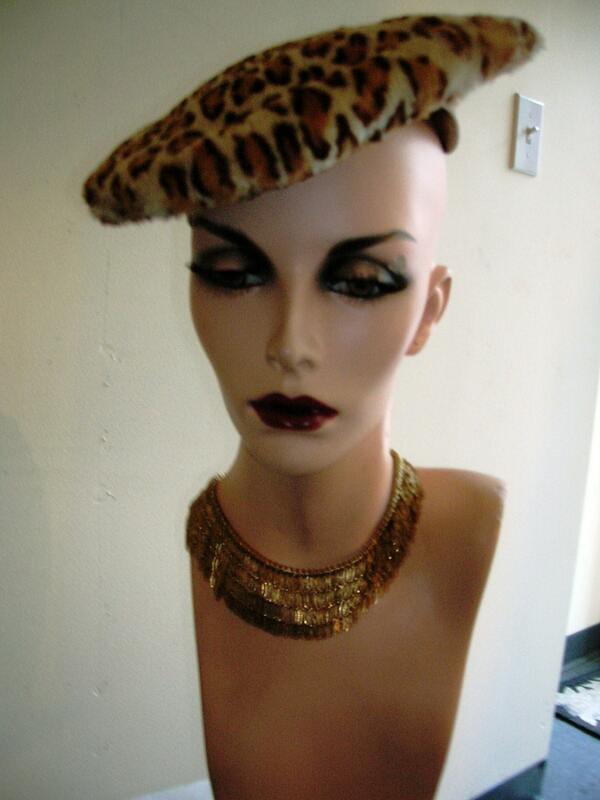 1950's leopard stenciled, rabbit skin beret hat. 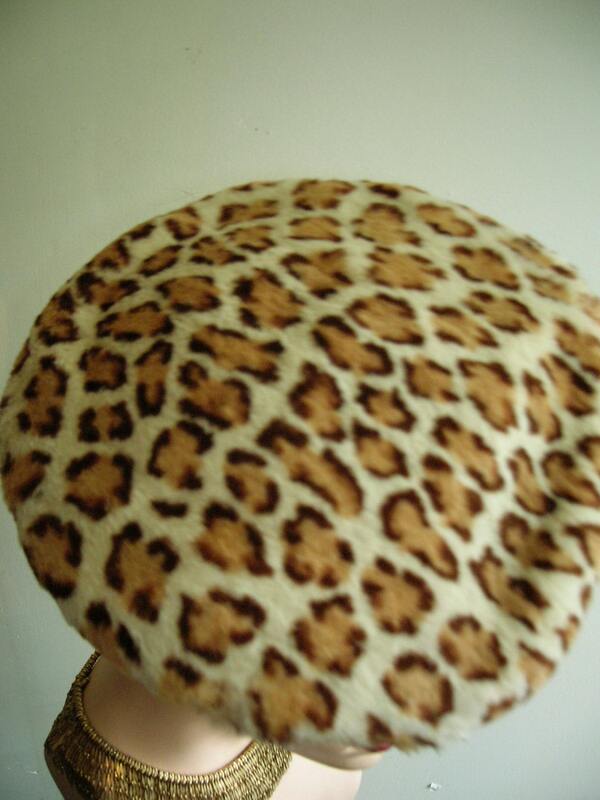 Hat sits on a wire form, under the brim, and is lined in peach colored faille. Hat is meant to be worn tilted towards font of forehead. 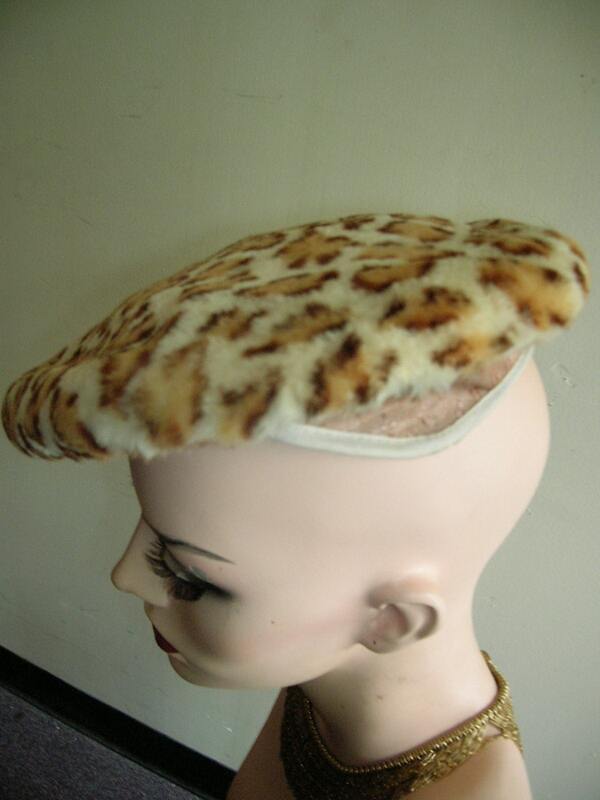 Measurements: circumference of under wired form of hat 21"
circumference of exterior of hat 28"